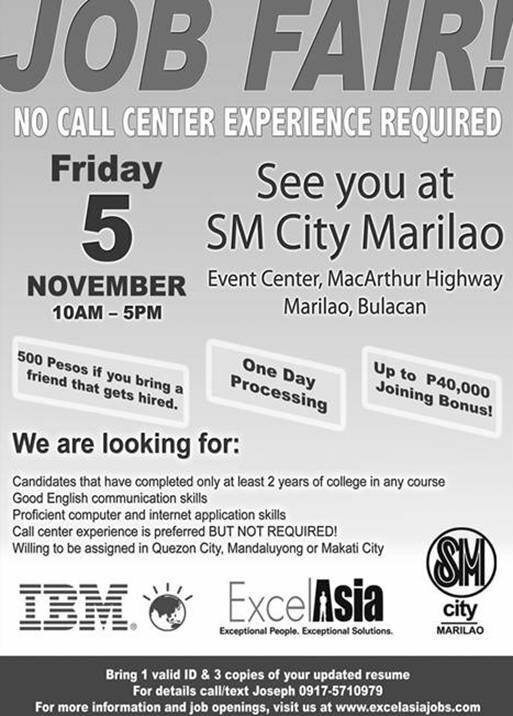 If you are looking for a high paid job at a Call Center then check out the Call Center Job Fair at SM City Marilao on November 5, 2010 from 10:00am to 5:00pm. Applicants just need to have completed at least 2 years of College in any course, has good communication skills, and proficient computer and internet application skills. Who knows this might be your chance to have your dream job.